Stop wasting people’s time. That’s the easy answer. Then, after a little thought, I added “there’s probably 4 things you have to ask in order to make your communication palatable”. Is it short? People don’t take the time to read a long commercial, promotion, or information. They want you to do all the difficult work: editing out anything that’s not needed. 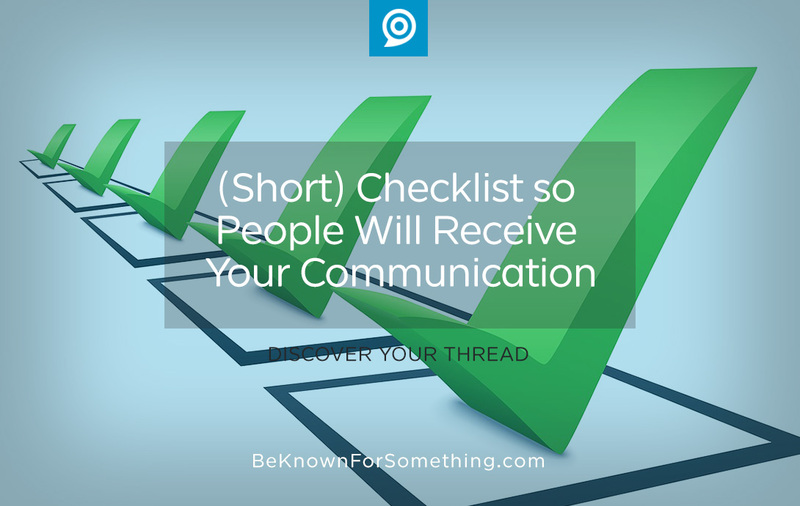 You should know the communication’s big takeaway; the one thing that people need to know. Stop telling them everything else. Most people won’t even tackle a long paragraph but they will read a short headline and bullet points. Is it relevant? You know the audience you want to reach. 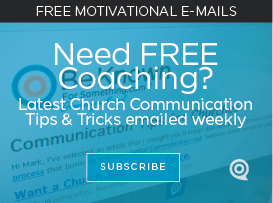 Often our church communication isn’t relevant to most; so they learn to ignore it. Want to break through the noise instead of contribute to it? Speak about the pain, concern, or goal your audience has. Or demonstrate that you’ll deliver a solution or path to their goal. People aren’t attracted to features until they’re attracted to the message. Point to the easy-to-find features and details on your website (for when they want them). Is it confusing? Take a step back from your design and message. Would the average person understand the language, the photo, or the benefit? Is anything questionable? Stop using acronyms or anything that requires an additional explanation. Often our communication is so crowded that it’s perceived as noise. Allow space for things to breathe but not too much or it’ll look or sound trivial. Is it readable? Proof, edit, and reread more than you want. Is it simple? Could it be said more simply? A great headline, bullet point, or callout needs to have a melodic, complete cadence that feels like a shareable tweet or poetic song title. Stack your keywords near the beginning of everything so they work as an establishing foundation to what you’re saying. These are harder asked than answered. Although, if you follow this guidance consistently, people will enjoy glancing over (or listening to) your message. When we start with audience understanding and finish by delighting them with a benefit or solution; people will seek your communication. Or maybe that’s just a fantasy of mine. At least they’ll spend time with it!